It's time, my dolls, for a nice long food coma. Yup, tomorrow is Thanksgiving and all I want to do is fill up, hang out with my family, then curl up and take a nap. I refuse to take on the ultimate madness of Black Friday this year. The older I get, the less patience I have for it. Seriously, the first time I went was 10 years ago. I was a gigantic 8 months pregnant and an older lady tried to fight me for a $10 Superman toy. I've been hit, crushed, had an earring ripped out once..., I'm not letting my husband drag me to that again. 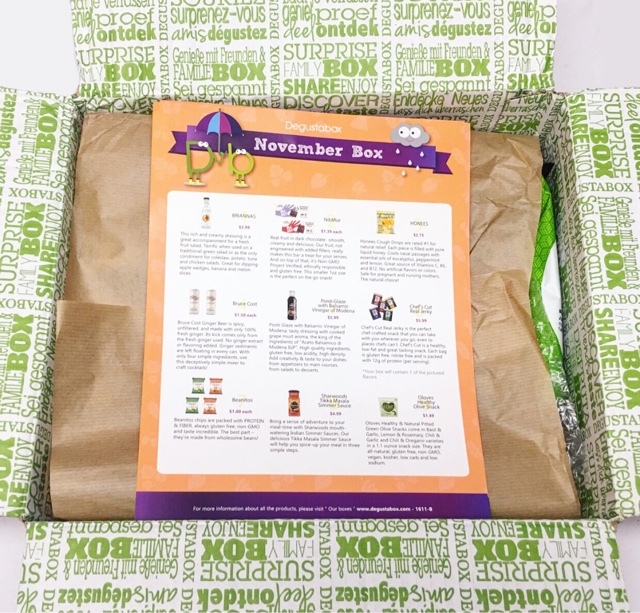 My Black Friday will be spent snoozing and eating the goodies from my November Degustabox! Another full box! I seriously love opening this package up each month! 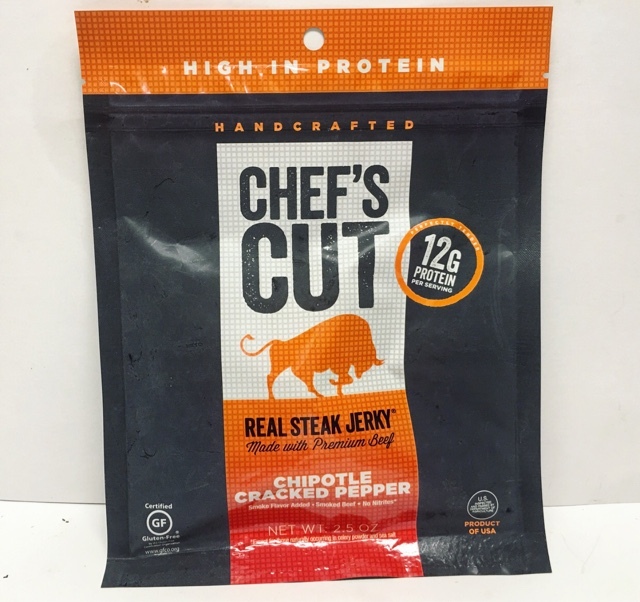 Chef's Cut Steak Jerky --- There were several possible flavors you could receive and I got the Chipotle Cracked Pepper flavor. It's super tasty and also healthy. It's gluten-free, nitrate free and packed full of protein. 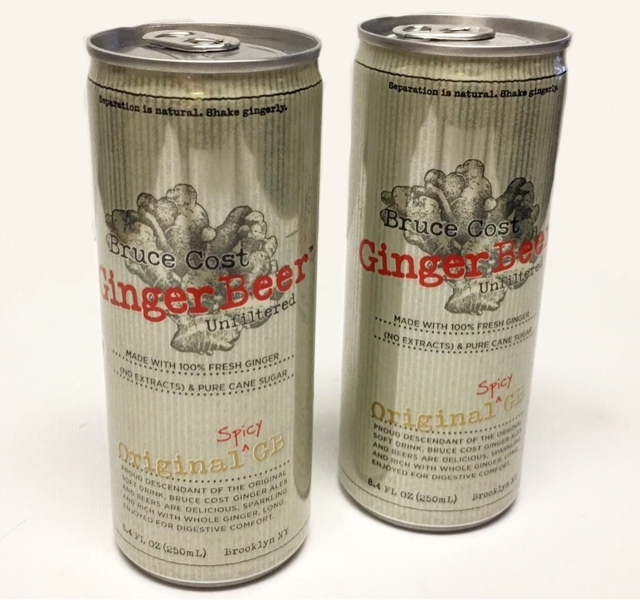 Bruce Cost Ginger Beer --- A spicy, unfiltered drink made with 100% fresh ginger. It has an interesting flavor but not one that I'm super fond of. That's just me though! 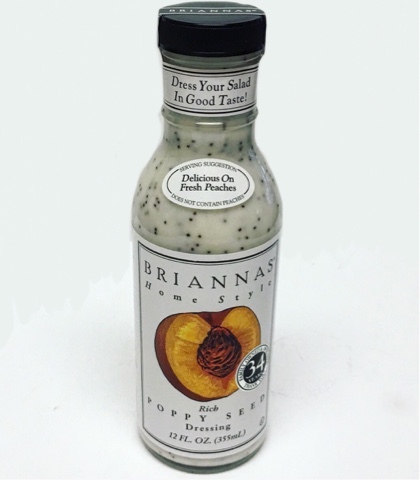 Brianna's Poppy Seed Dressing --- I love dressings from this brand. It's a rich and creamy poppy seed dressing that pairs up well on a fresh fruit salad or anything else you want to add it to. 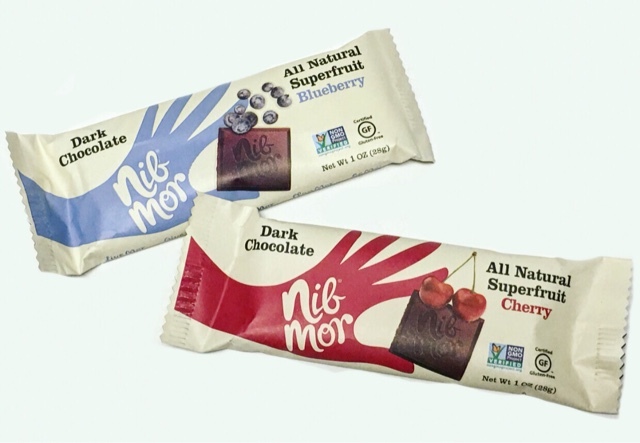 NibMor Chocolate --- These are both absolutely delicious, but the blueberry is definitely my favorite! Both are made from dark chocolate and real fruit mixed in! The perfect treat plus they are non-GMO, ethically responsible, and gluten free. 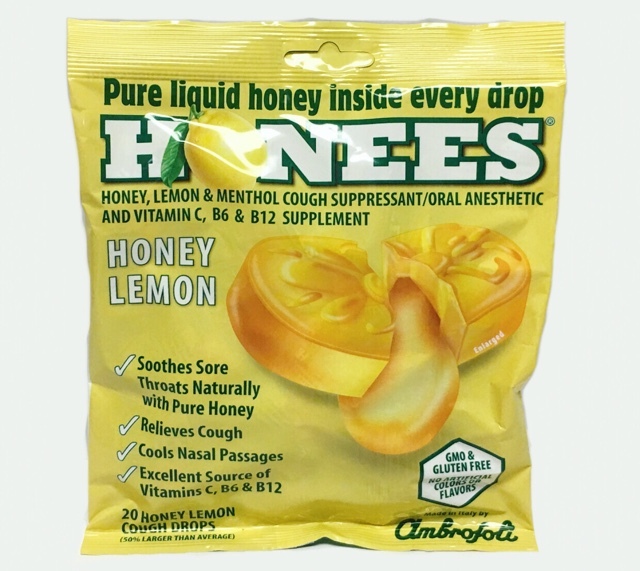 Honees Honey Lemon Cough Drops --- Theses have b come my absolute favorite cough drops of late. They are such a lovely, natural option. Each piece is filled with pure liquid honey to soothe and it cools the nasal passages with essential oils of eucalyptus, peppermint and lemon. 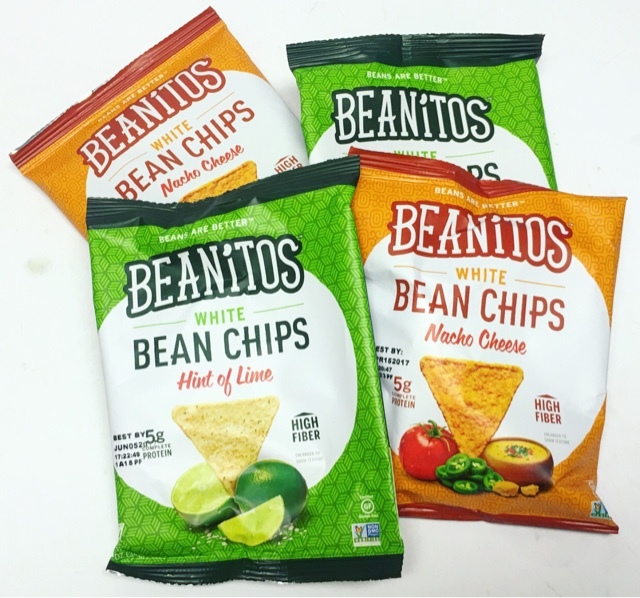 Beanitos Bean Chips --- Another tasty, healthier alternative. These chips are packed with protein and fiber, are gluten free and non-GMO, and taste fantastic. I especially like the 'hint of lime' flavor! Oloves --- I'm not a giant fan of olives but there are a lot of people in my family that love them. 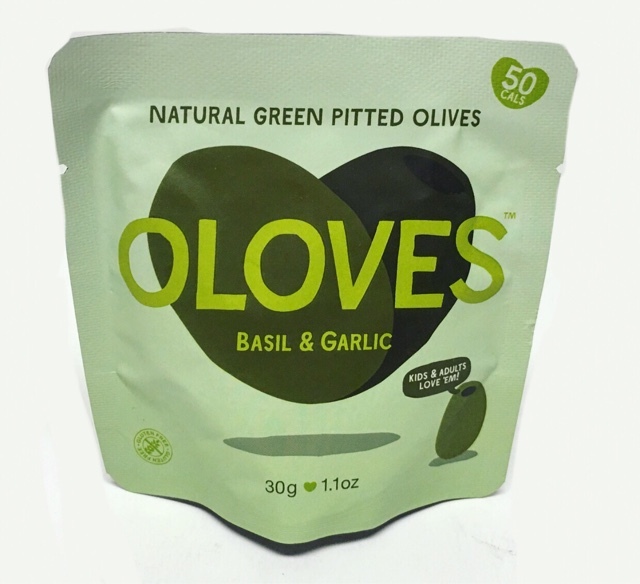 These Basil and Garlic pitted olive snacks are all natural, gluten free, non-GMO, vegan, kosher, low carb and low sodium. 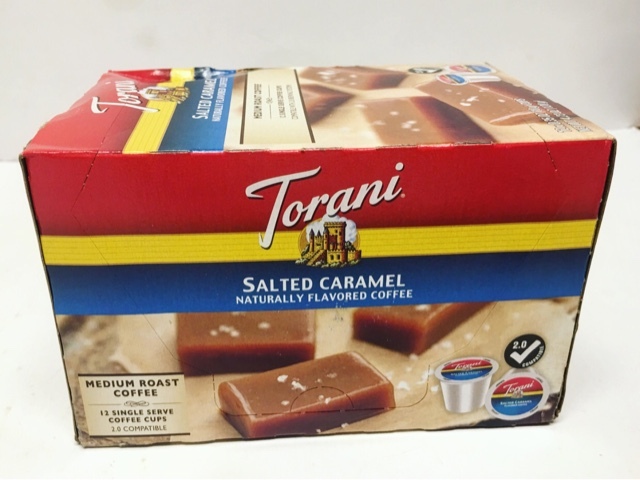 Torani Salted Caramel Coffee --- Obviously, this is my favorite thing in the box. I am a giant coffee lover. Anytime is a great time for coffee in my opinion! I received the Salted Caramel flavor and holy crap is it good! This box will be gone very fast! 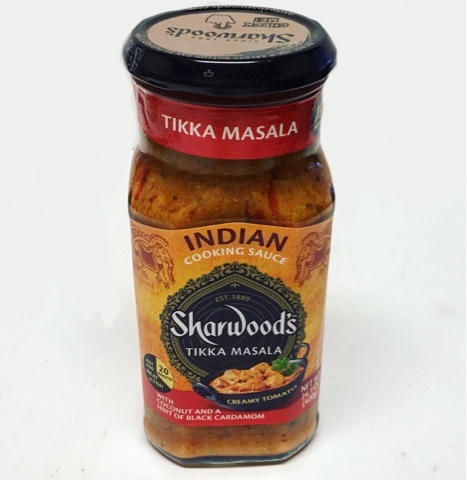 Sharwood's Indian Cooking Sauce --- This is an Indian Tikka Masala Simmering Sauce that will add some kick and foreign flare to your meals. I haven't had the chance to use this on anything yet but I hope to do it soon! 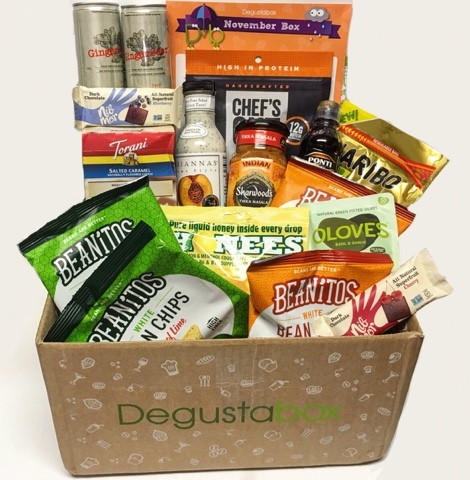 I give major props to Degustabox on their ability to curate such an amazing box month after month. 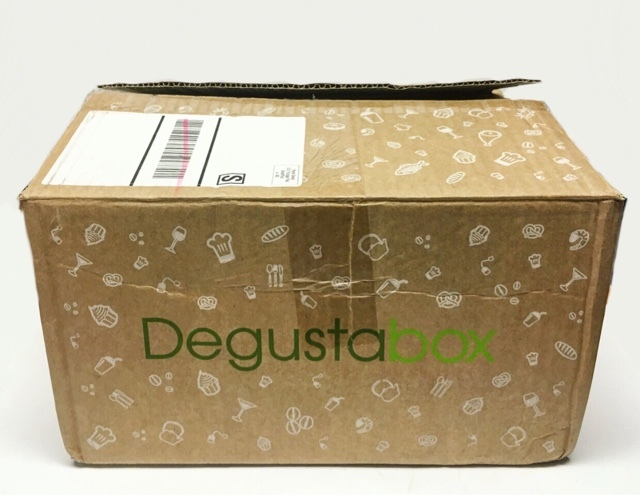 The keep giving us such a wonderful, wide range of products and in just a few short months, they've climbed their way up to my top 5 food subscriptions. 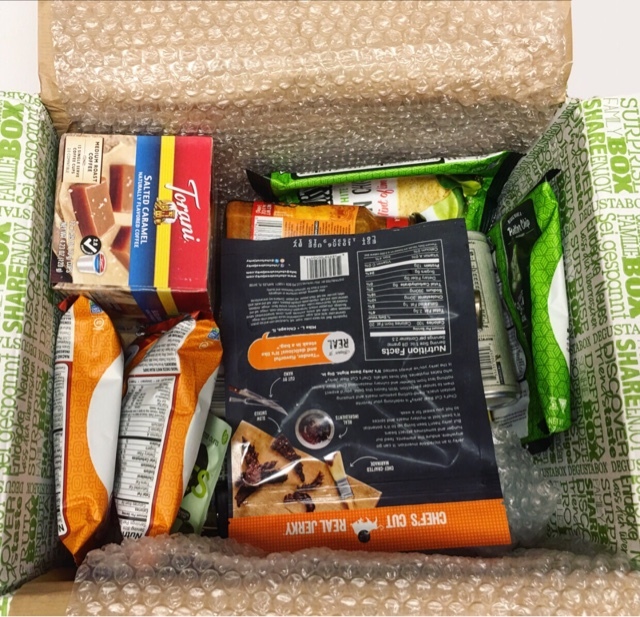 Such a treat to add their featured goodies to my pantry each month!